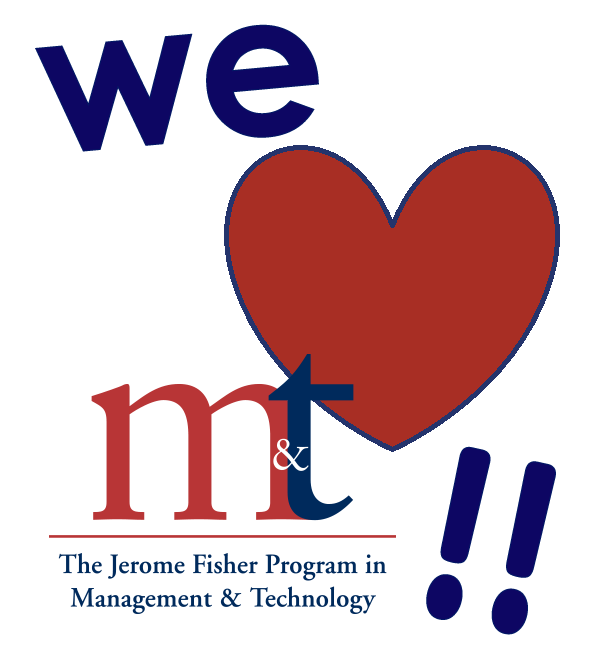 I applied to M&T because of the program’s world-class academic and professional strengths. Once I was at Penn, though, I discovered that M&T’s most impressive feat is its ability to bring together a group of fifty students and make them lifelong friends. I have met some of my best friends through M&T and know that college wouldn’t be the same without this group of ambitious, interesting, and diverse individuals. I will feel strong loyalty to M&T for the rest of my life – more loyalty than I will to Penn – for these reasons. Being part of this program has been a truly enjoyable experience. Jeff came to Penn from Hillsborough, CA and is currently the President of the M&T Club Board. He studies Computer Science within Penn Engineering and Management and Entrepreneurship & Innovation in the Wharton School. I’ve always had a love for science and a desire to introduce myself to business, which is the reason I applied to the M&T Program. After getting in, I realized that it not only academically challenges you and drives you, it also offers a support system of amazing people with equally amazing ideas and insights. Being here for only a year, I realize that this program not only challenges me but has also given me a sense of community. The M&T Program is a community that celebrates every success of each of its individuals as a success for the community. I think that notion is difficult to find in an academic setting, and I am glad I have discovered it through the M&T Program. Ananya, originally from Manalapan, New Jersey, is currently on the Social Committee of the M&T Club Board. She studies Bioengineering within Penn Engineering and has yet to declare her concentration in the Wharton School. When I was looking at schools, I was primarily looking at engineering programs. I had no idea what I wanted to do with my life and figured engineering would be the most diverse degree. But there was something missing within engineering. I had looked at investment in tech in high school and wanted to learn the methods used to analyze startups and tech companies. Luckily, I found M&T in early fall of my senior year and immediately knew that its combination of business and engineering was perfect. Having two degrees will allow me to pursue a career in literally any industry I may become interested in by the time I graduate. I am really looking forward to the next three years in M&T and taking advantage of my dual degree status to explore a broad range of career options. Rob hails from Ridgefield, Connecticut and is currently Professional Committee VP on the M&T Club Board. He studies Systems Science within Penn Engineering and has yet to declare his concentration in the Wharton School. One of the greatest things about M&T is that it is a very specialized academic program, but the possibilities in terms of career path or post-grad programs are endless. It might sound strange that I am studying marketing, management, and bioengineering, and that I’m interested in the fashion, technology, and e-commerce. But I have been able to leverage the analytical skills I’ve developed through engineering, and the business acumen I’ve developed in Wharton, to get jobs and internships in the areas I’m interested in. Secondly, but perhaps more importantly, the people and M&T community are truly amazing. I’ve made some of the greatest friends through M&T, and also been able to reach out to some of the really accomplished alumni just to talk about their career or to ask for advice. Overall: M&T is a challenge, but I do believe it’s an incredible program that can’t be found anywhere else. Vidushi, originally from Portland, Oregon, currently sits on the Professional Committee of the M&T Club Board. She studies Biomedical Science within Penn Engineering and Marketing, Management, and Entrepreneurship & Innovation in the Wharton School. The M&T program offers an unparalleled undergraduate education path that really complements one another. Since being at Penn, I’ve really got tent I see the advantages of pursuing an engineering and a business degree at the same time, as oftentimes I find myself contributing more than my Wharton peers in management classes when discussing various issues that companies face (which oftentimes have to do with technology), and I feel that I can have a better big-picture idea when working on engineering projects. I recognize that this ability is very high in demand nowadays, as technology and business are the fundamentals of most industries. Beyond just the academic offering of M&T, what I enjoy most about the program is how close-knit the community is. Many people find their best friends at Penn to be other M&Ts (myself included), and the sense of pride for being in the program can easily be felt through talking with M&T students. Xiaolei came to Penn from Downingtown, Pennsylvania, and is currently on the Corporate Committee of the M&T Club Board. He studies Systems Science within Penn Engineering and Finance and Strategic Management within the Wharton School.